Great Russell Pinch stool from Pinch Design at Tent. Pashley are Britain’s longest established bike manufacturer. Many other bicycle companies have turned to overseas production in search of cheaper costs, risking the quality and reputation of their brand. Pashley are one of only three bicycle manufacturers left in England today. Their bikes don’t come cheap, so what is it that makes you invest in one? Today they are particularly trendy, with continual celebrity endorsement. The image of a Pashley bike is often regarded as an epitome of Britishness. QUINTESSENTIALLY BRITISH BRAND WITH A RICH HISTORY OF MANUFACTURING. 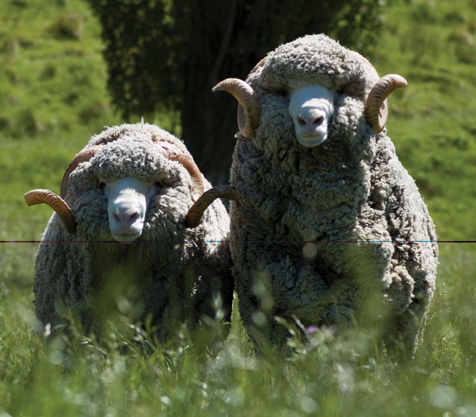 Fox Brothers is a quintessentially British wool and flannel mill. One of only a few working cloth mills in the UK today, Fox Brothers provides an interesting insight into a British business which centres itself around British design and high quality craftsmanship. ‘Modern everyday luxury’ is the ethos of Sunspel, the Nottingham-based manufacturer of luxury cotton clothes. The company was founded by Thomas A. Hill in 1860, a hugely successful textile entrepreneur. His aim was to create simple luxury clothes using the best quality materials he could source. This approach rendered him a pioneer in British craftsmanship. 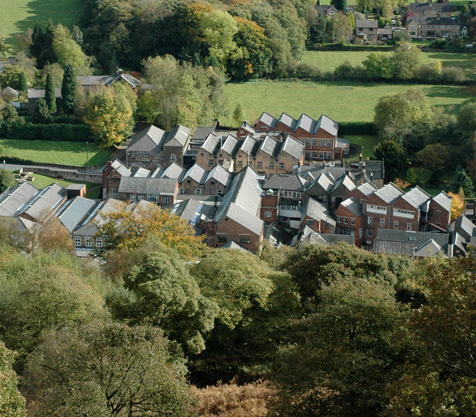 John Smedley is a British clothing company that manufactures in the same mill in which they began in 1784, in their Lea Mills factory in Matlock, Derbyshire, not too far from where we work in Nottingham. It’s often difficult to write about somewhere you’ve never been. 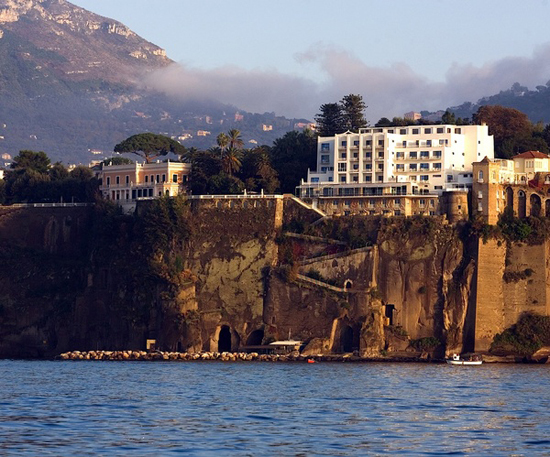 But after a day of studying its images, I feel as if I’ve spent a week at Parco dei Principi, the hotel that Gio Ponti designed in Sorrento, Italy. The hotel is so well documented, not only because of Gio Ponti’s reputation, its architecture and its interior decoration, but mainly because of its whole inspiring aesthetic. The ceramic patterns on the hotel’s floors are what have drawn me in, having browsed hundreds of images of the Italian building. The tiles are certainly its most beautiful element. Nottingham’s international contemporary art gallery is a great architectural find in a historic district. If you ever happen to be in Nottingham, the city’s major international art gallery Nottingham Contemporary is a must visit building. Over a year into its programme the gallery has been a big success with audience numbers hugely exceeding expectation. The curatorial programme, led by Alex Farquarson, provides a constantly changing series of contemporary exhibitions that often comment on history and society, and feature the foremost of artists of today. The building was designed by leading architects Caruso St John who also designed the Walsall Art Gallery, Gagosian Gallery and now the new Tate Britain extension. The exterior has an austere quality typical of their design approach and contains four beautifully detailed gallery spaces inside. It’s well worth a visit. We’ve decided to add parquet flooring as one of our design notes as it was a major feature of our recent photo shoot in an old Victorian English school. Many of you who grew up in England probably went to a similar School and remember the herringbone pattern of the flooring as you sat cross-legged, singing in assemblies. Although seemingly a relatively modest flooring that was popularised in British homes in the 20s and 30s, the flooring has its origins in the 17th century palaces and manor houses of St Petersburg.